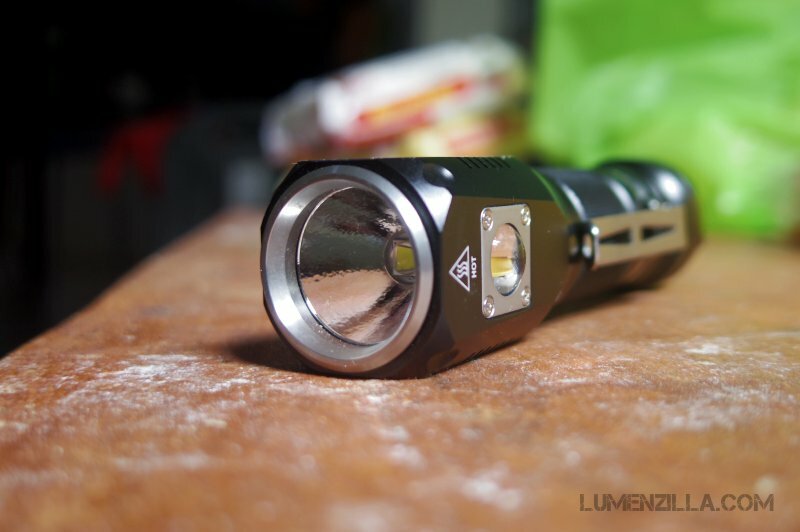 Nitefox UT20 is a 18650 powered flashlight with built in charging feature that can deliver up to 1080 lumens output and has two group modes called “outdoor” and “tactical” mode. I received a sample of UT20 from Nitefox at BLF about one month ago and decided to carry and use it almost everyday to see how it performs. 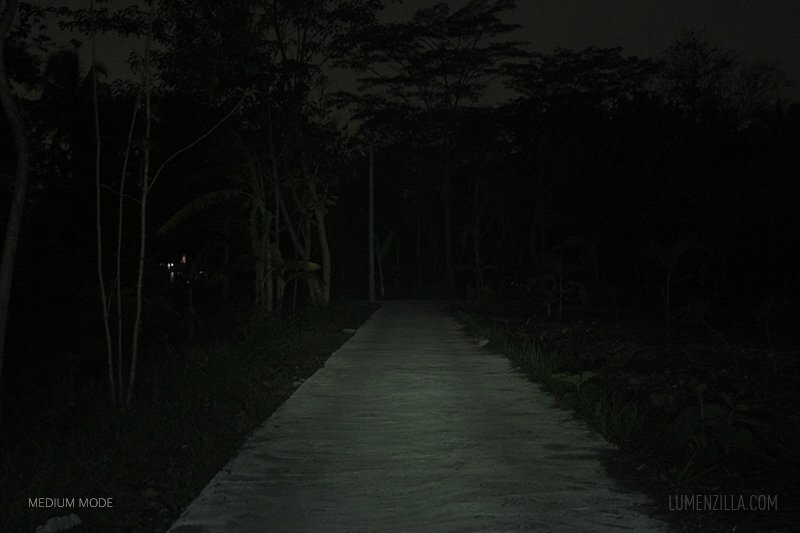 I receive no compensation by any means except the flashlight that was provided by the manufacturer. 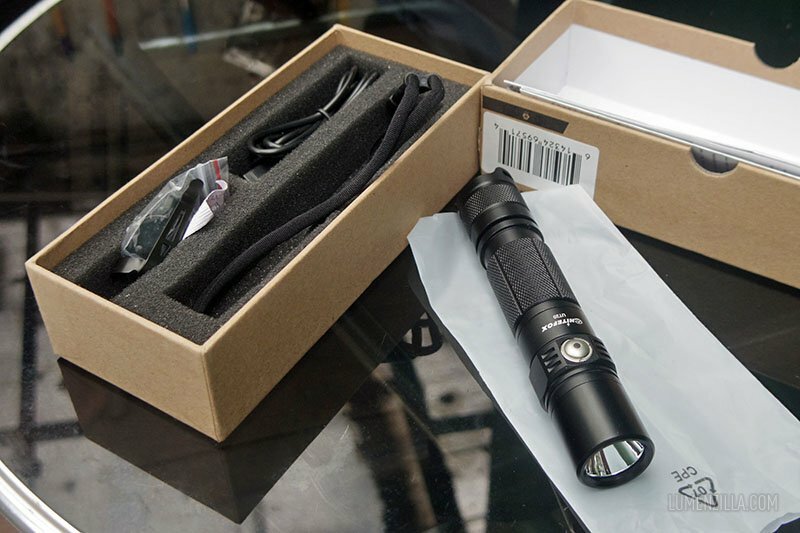 The package contents are flashlight, 18650 battery (2600 mAh), lanyard, pocket clip, micro USB cable, warranty card, and instruction book. 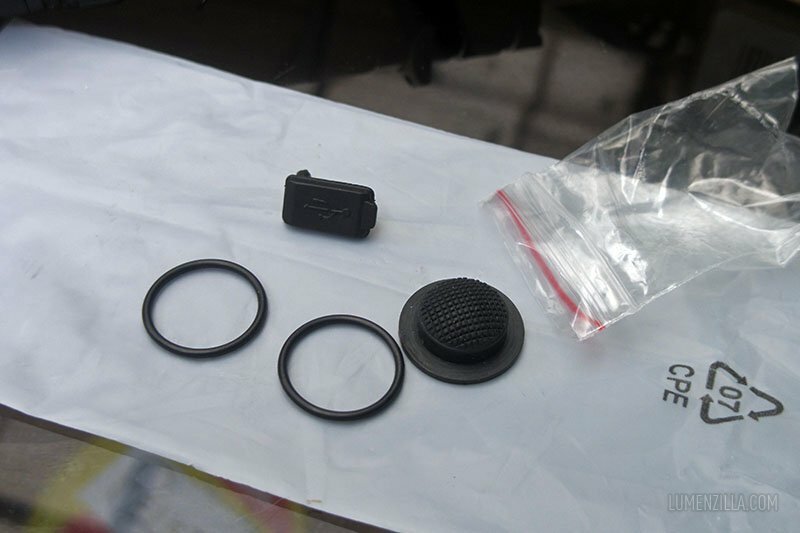 Spare o-rings, tail cap cover, and micro USB port cover is also included. 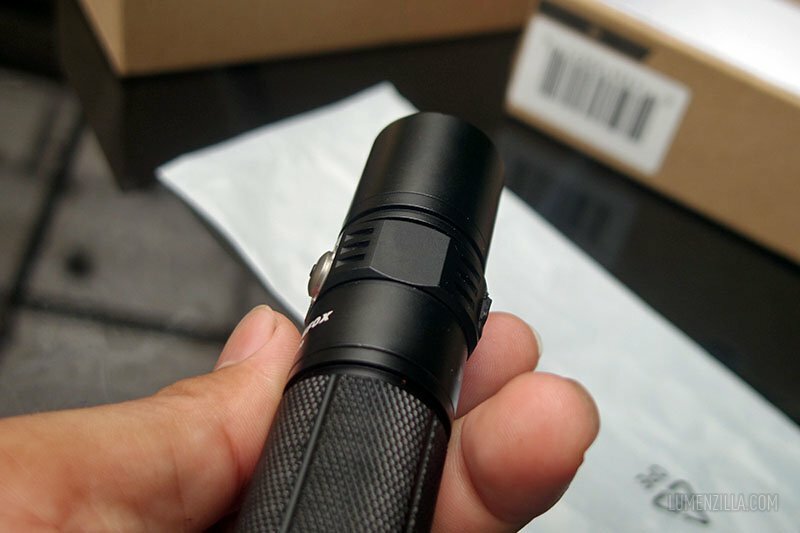 After pulling out the flashlight out of the packaging, I feel that the flashlight dimension is quite long. 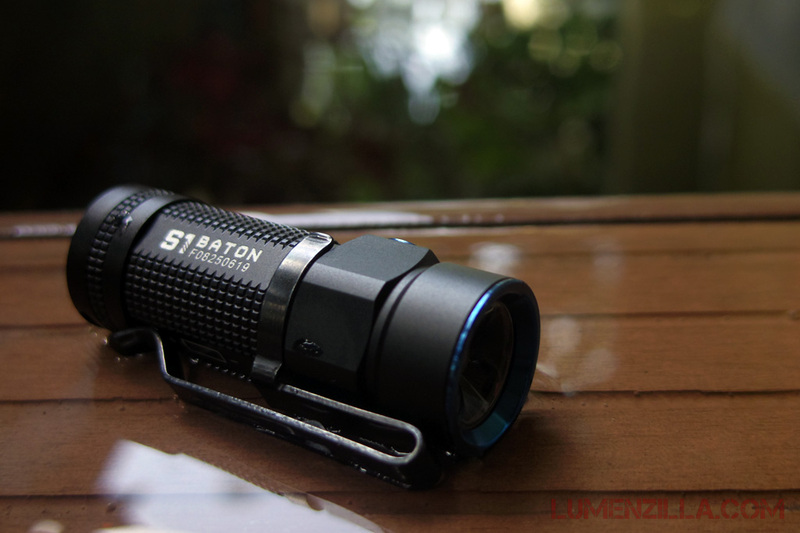 It has almost the same length as Olight R and Lumintop EDC25. 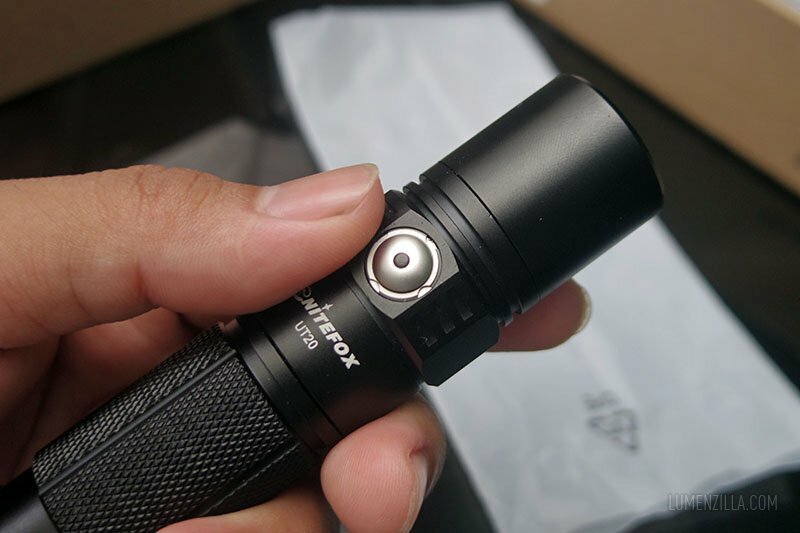 Nitefox UT20 is also equipped with two switches: one switch at the tailcap for turning the light on and off, and another one on its side for changing the mode/brightness levels. The side switch is also functioned as battery level indicator. It will automatically check and display battery status when the light is turned on. Green means battery capacity is save, yellow means okay (around 50%), and red is critical. 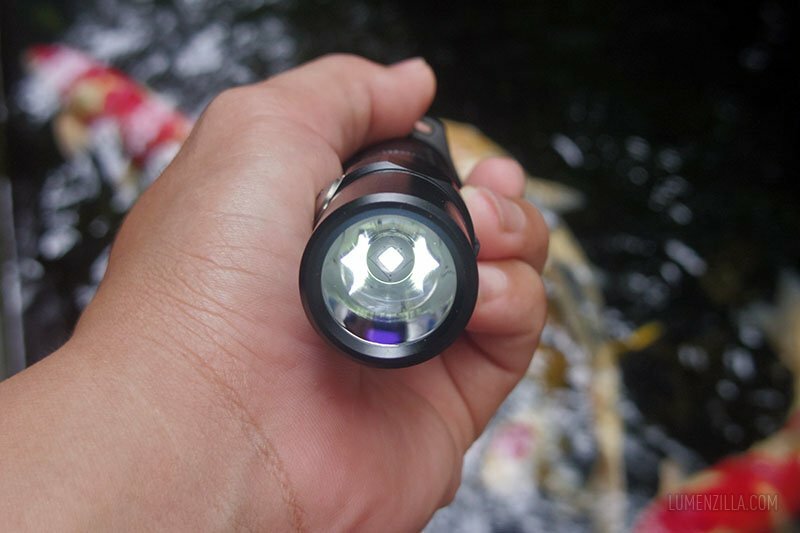 Nitefox UT20 utilises CREE XM-L2 LED with SMO (smooth) reflector that resulting a throwy profile. 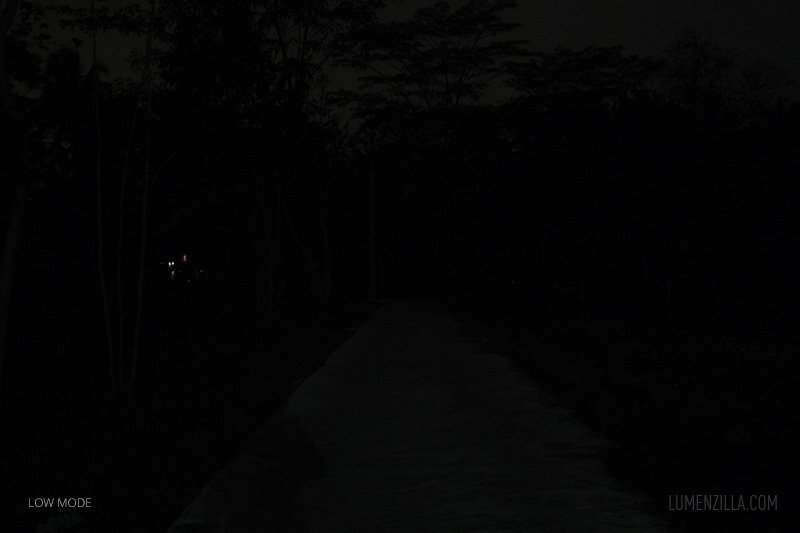 At the following picture we can see that the lens is coated as we see a purple tint color on the lens. There’s a squared shape on the body, near head where the side switch is located, that will avoid the flashlight rolled out when being put in a flat surface like a coffe table. 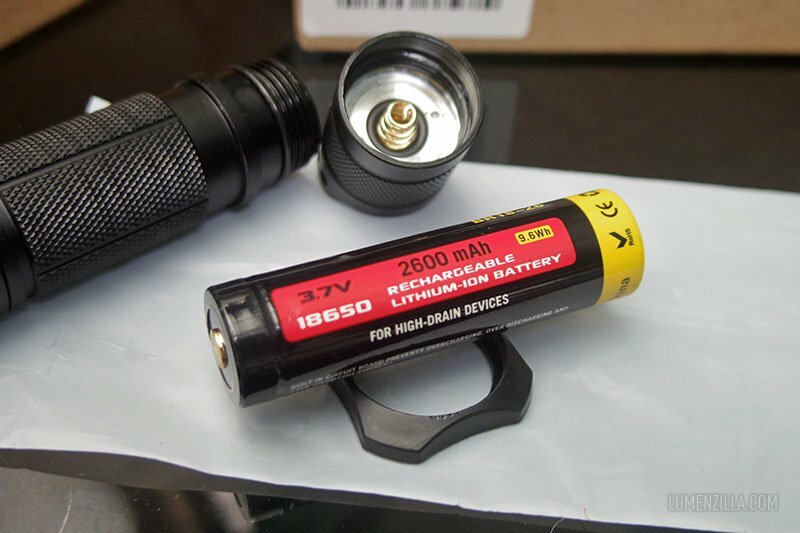 The flashlight also came with a 18650 sized battery (2600 mAh) and a “tactical ring” that can optionally installed. 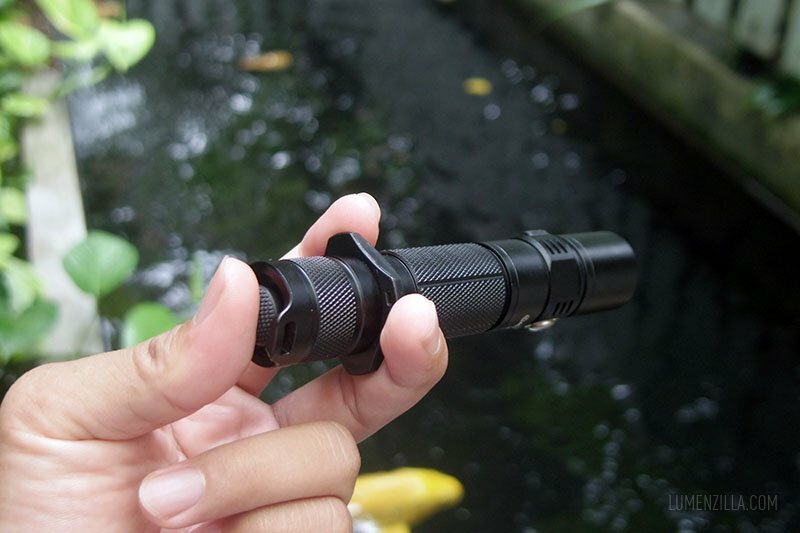 The ring is made from a hard plastic material that blend nicely with the flaslhlight. 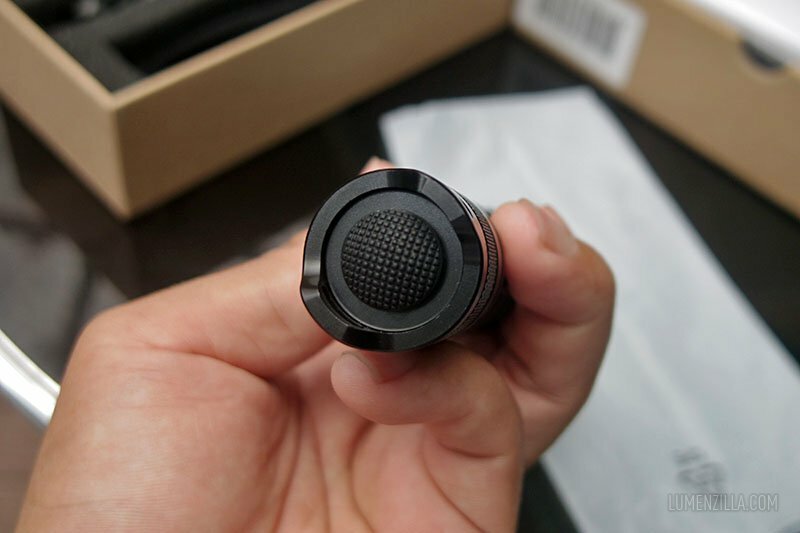 The tactical ring is used for attaching lanyard, additional anti roll feature, and helps us holding the flashlight in cigar/syringe grip style. 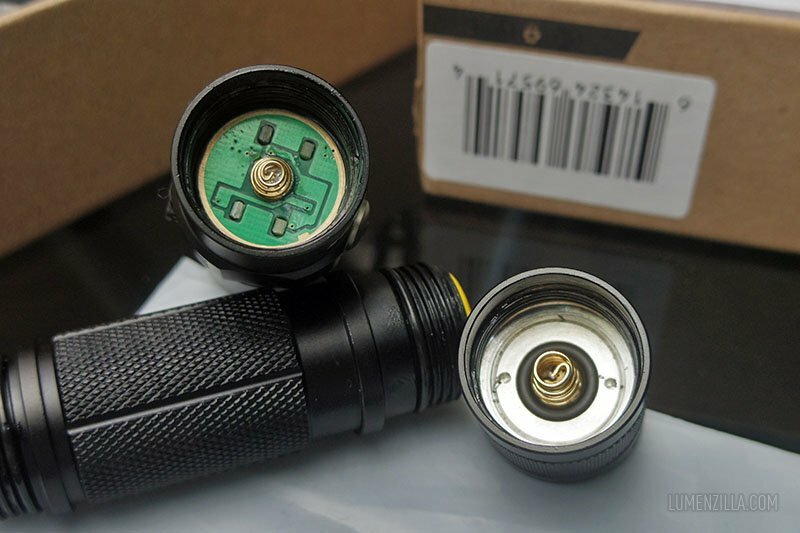 Here are additional pictures for the spring contacts and the tailswitch. The only con I found while using Nitefox UT20 is the pocket clip. It doesn’t feel strong and look thin so I decided not to install it. Tail switch is used as power button. It’s used for turning the flashlight on or off while the side switch is used for changing brightness levels. 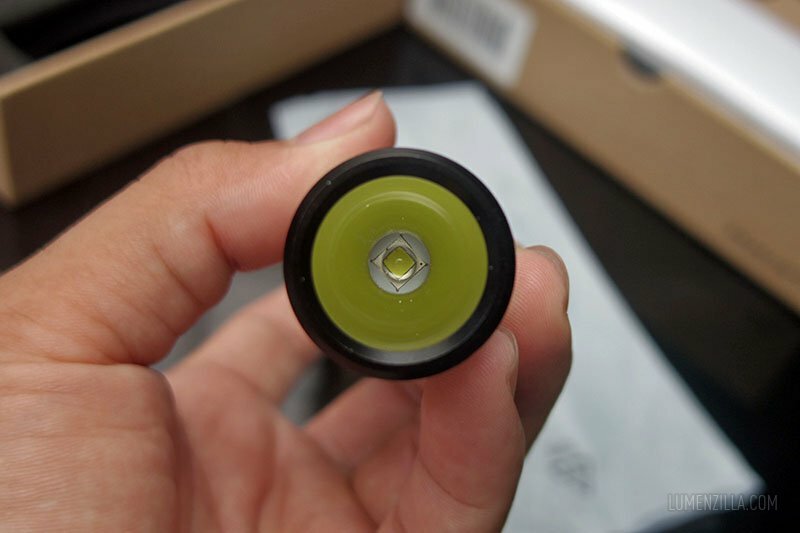 When the flashlight is turned on, a LED inside the side switch will shine in green color indicating that the battery is full and red when the battery is running out. 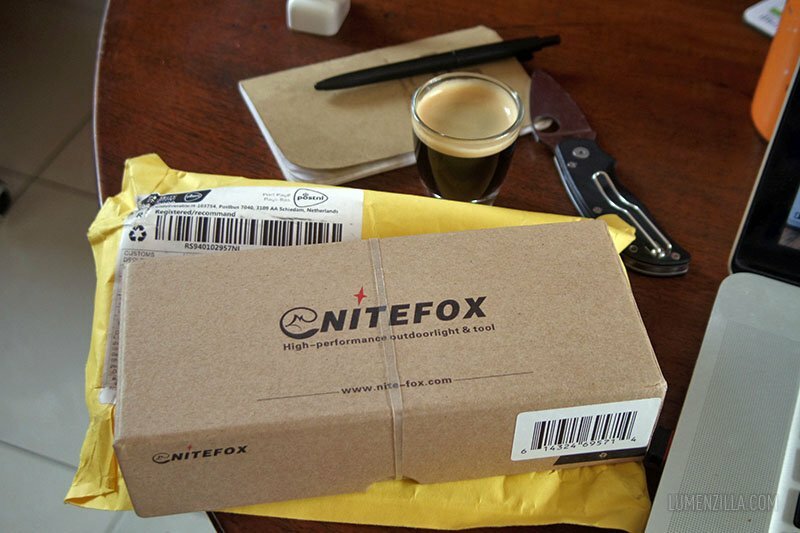 Nitefox UT20 has two group modes: regular/outdoor and tactical group mode. Regular group has four brightness levels (low, medium, high, turbo) with memory while tactical group has three modes (turbo, high, strobe) and always starts in turbo mode. 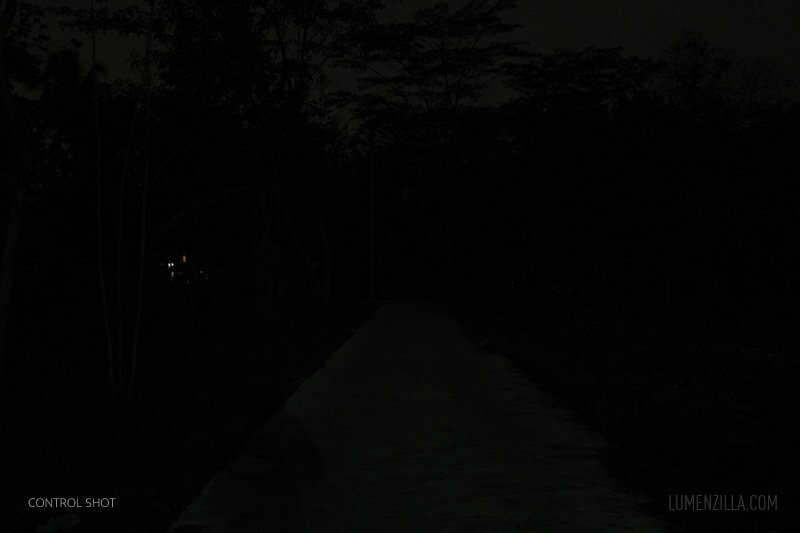 To switch from one group mode to another, long press the side switch for about 3 seconds when the flashlight is turned on. After the LED blinking, it’s a sign that we have successfully switch modes. 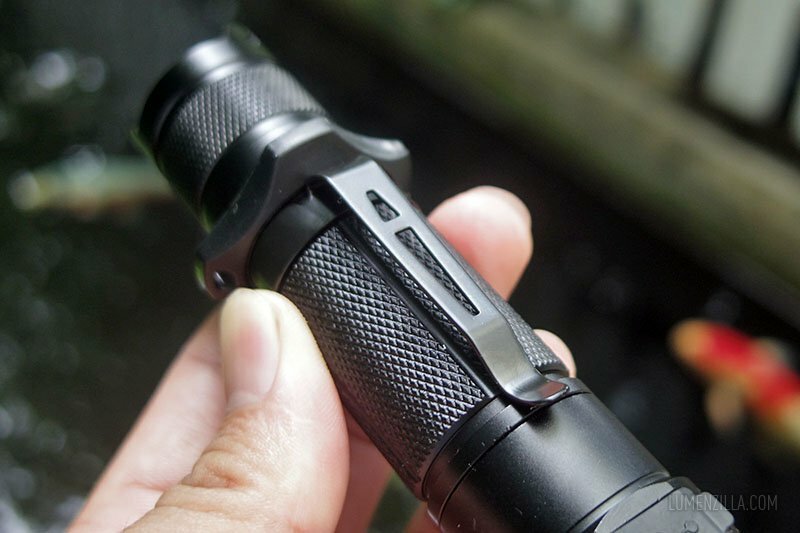 Just like any other flashlights in tactical genre, Nitefox UT20 is equipped with forward clicky switch. All pics are taken using Pentax Q with standard 8.5 mm lens (1/4 sec; f/1.9; ISO 400). 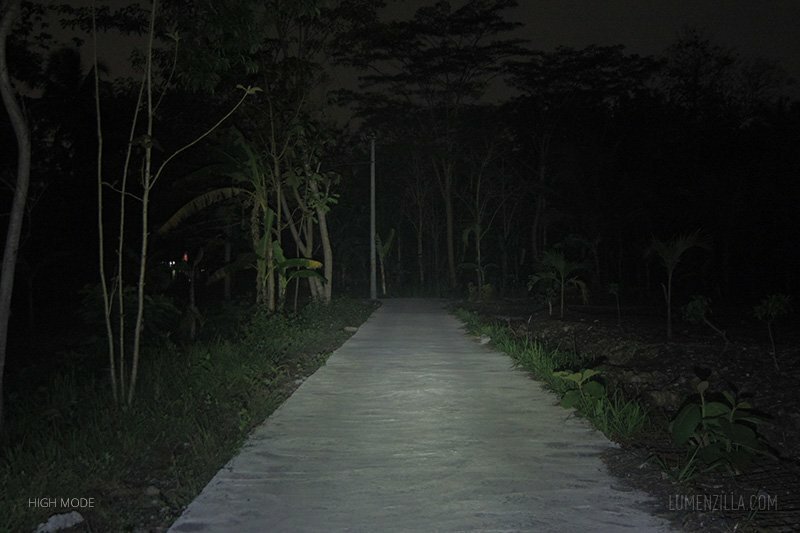 Distance from flashlight to the utility pole is roughly 60 meters. 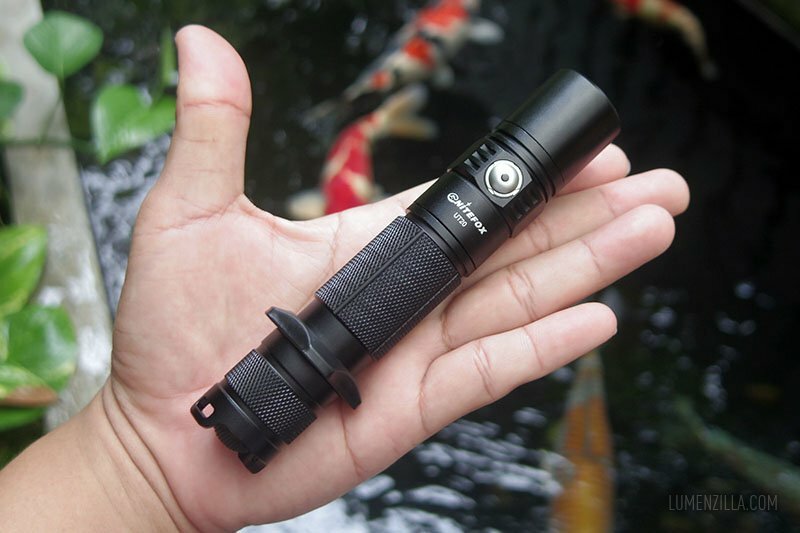 Nitefox UT20 is a decent all round flashlight with two group modes, perfect for both tactical and adventure activity. 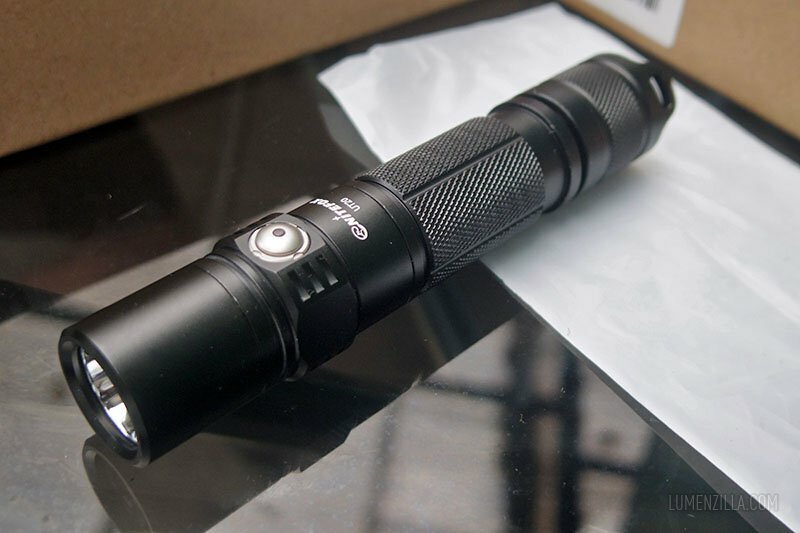 It’s bright enough with pretty good runtime and shipped with built in charger plus battery included, suitable for gift even to non-flashlight person.